Start or join a GoalFriends group. We all have dreams of what we want to accomplish in life. But what stops us? Work, family, financial pressures and the hectic pace of our daily lives get in the way. When you start a GoalFriends group, you’ll gather monthly with 6-12 other women who are goal-setters just like you! You’ll support each other in achieving career goals, personal goals and lifestyle goals by sharing ideas, unlocking new paths, holding each other accountable, and celebrating wins. GoalFriends is all about stepping into action with energy and enthusiasm. Starting a group is easy. 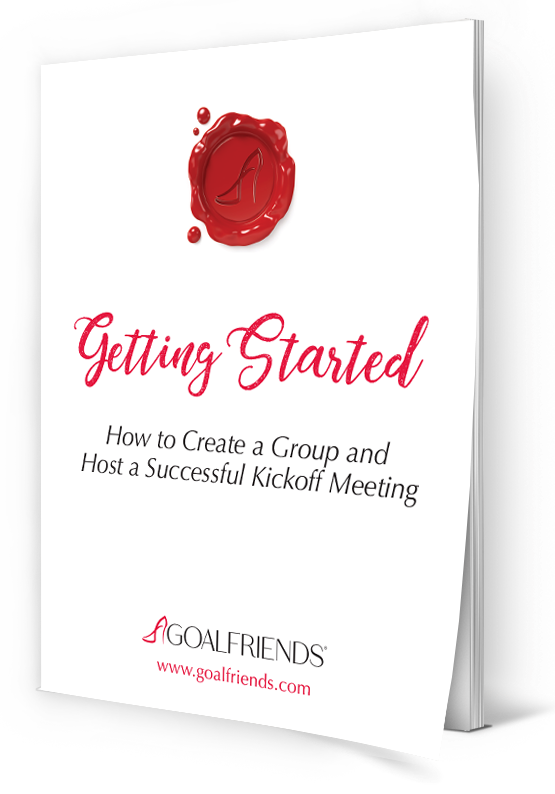 Getting Started includes all the tools and resources you need to successfully launch your GoalFriends group and host your kickoff meeting. Thank you! Your Getting Started Guide will arrive in your email shortly. … you will need your workbook. Get started on your journey of self-discovery and transformation. Your 12-month workbook is the heart of the GoalFriends experience. The guided discussion topics and exercises are designed to maximize your success. The women are the secret sauce! GoalFriends is a one-of-a-kind guided journey of self-discovery and transformation. It’s not reserved for exclusive groups or leadership summits. It is for anyone and everyone. Whether a woman has been out of the workforce for decades, wants to start a new business, launching their career, or is just looking to step into their greatness; this is the place to make it happen. Our program attracts real women with real lives, real challenges, and through GoalFriends – real successes and triumphs. What’s the purpose of a GoalFriends group? Our groups provide a platform for women to connect and inspire each other in a small community setting where they share their dreams and goals. Within the groups, women are guided by our simple step-by-step workbook which gives them clarity on what they want and stay motivated with accountability and support. GoalFriends celebrate one another’s successes, learn from each other, and let their authentic selves shine through. Each self-facilitated group serves as a mini-mastermind or personal “think tank”​ for new ideas and opportunities. Who should join a GoalFriends group? GoalFriends is for anyone and everyone from all walks of life in every season of life. We only ask that that you are committed to participation, personal growth, and positive encouragement to the other members. How do I start my own GoalFriends group? It’s super easy and we give you everything you need to create your group and host your kick-off meeting in our Getting Started guide. Download the Getting Started resource, identify potential members, pick a date, send out the email invite, and host your introduction meeting. What do I need to start or join a GoalFriends group? 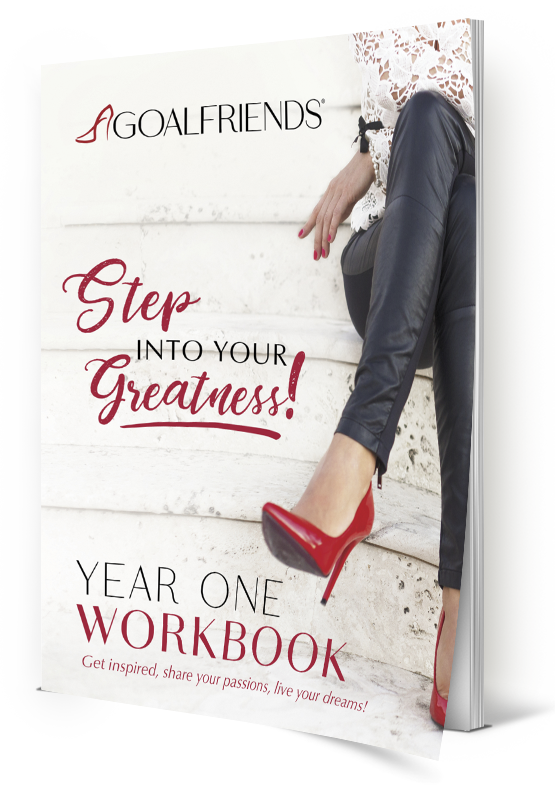 All you need is the GoalFriends workbook and a group of participants! Everything you need to run a successful group meeting is in the workbook: including a suggested meeting schedule, explanation of the Hostess and Goalie roles, a Goalie Guide, as well as the monthly meeting topics and exercises. How much does it cost to join GoalFriends? Our workbook costs $49 and we do not have a membership fee. All you need is the workbook as your guide! How many women can participate in a GoalFriends group? We find that the ideal number is 6 – 12 women per group. The number keeps the group intimate and manageable, and large enough for each member to host one or two times a year. How often do the GoalFriends groups meet? Who facilitates the group meetings? The meetings are self-facilitated. Different members will act as Hostess and Goalie for each meeting. The Hostess creates the space, while the Goalie facilitates the discussion and keeps the meeting on track. Who’s “in charge” of a GoalFriends group? Typically, the person that initiated the group is seen as the “influencer”. 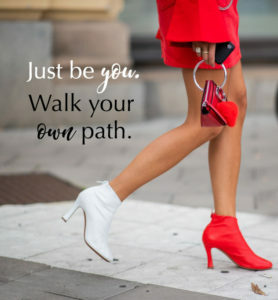 Influencers are the originators of the group, and at times are a liaison to the GoalFriends headquarters – these women typically have the desire to inspire others and are natural leaders. However, a group is a collaboration of the members – everyone is in charge. Is GoalFriends a networking or new business opportunity? GoalFriends groups promote purposeful conversations and powerful connections through goal-setting and personal transformation. While you may learn of a member’s interests, career, or aspirations through the sharing process, the groups are not an opportunity to promote your products, services, or gain new customers. I’m a student, would a GoalFriends group be right for me? Definitely! The earlier you begin goal-setting, the better. I’m a member of an existing GoalFriends group and I have a friend who would like to join. Is this acceptable? It’s wonderful when friends hear about GoalFriends and want to be a part of it! That’s how we grow. We suggest discussing it with your group. If a new member joins an existing group, please ensure they have reviewed the topics and exercises previously covered. Allow extra time to properly introduce her and allow sharing time to integrate. GoalFriends groups can be held anywhere depending on what best suits your group. They can rotate in members’ homes, at a café or restaurant, and even in conference rooms at corporate settings. The Hostess will coordinate the venue and menu and the Goalie facilitates the meeting. Do my GoalFriends need to be the women I’m currently friends with? It’s not uncommon for some of the groups to be comprised of a few close friends. However, we have found by inviting women that are not necessarily in your circle, allows you to learn new things and create new relationships. 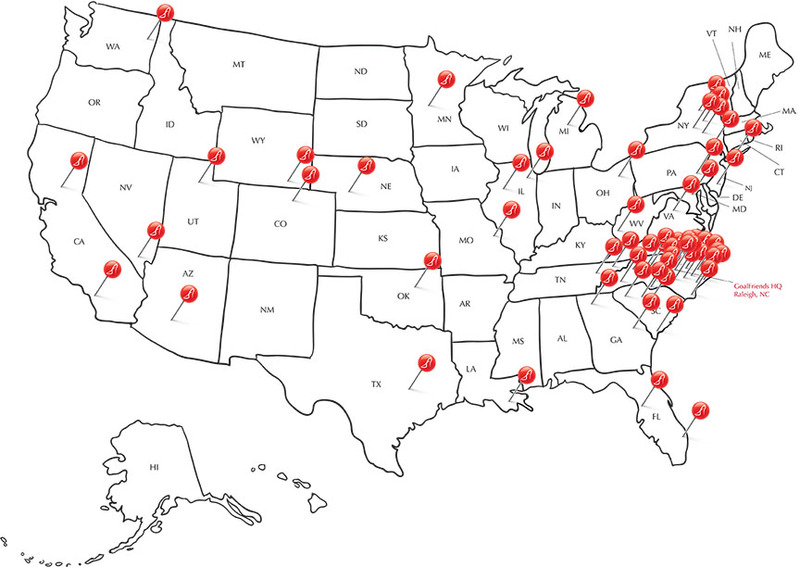 It’s amazing how many talented, creative, and uniquely brilliant women there are in your own backyard. GoalFriends gives you the opportunity to form deep connections with them!